Fact: While infant mortality has fallen for decades across the U.S., in Detroit more babies die before their first birthday than in any American city. With 14 deaths for every 1,000 babies born alive, the infant mortality rate in Detroit (14/1,000) is double the state of Michigan (7/1,000) and national average (~6/1,000) – a rate higher than in countries like China, Mexico and Thailand. Fact: There is a great disparity between Caucasian and African American babies. Caucasian babies in Detroit have a comparable rate to the nation 6/1,000). Yet, African American babies die at 3 times the rate (18/1,000). It should come as no surprise that Detroit’s staggering statistic is propelled by poverty – the disparity of healthcare and social services particularly among African-American first time mothers. The high rate of premature births and infant mortality are traced to a constellation of maternal health problems including obesity, diabetes, poverty-related stress, domestic abuse and poor nutrition. You can read the facts, Google the reports, advocate for change, write a check. 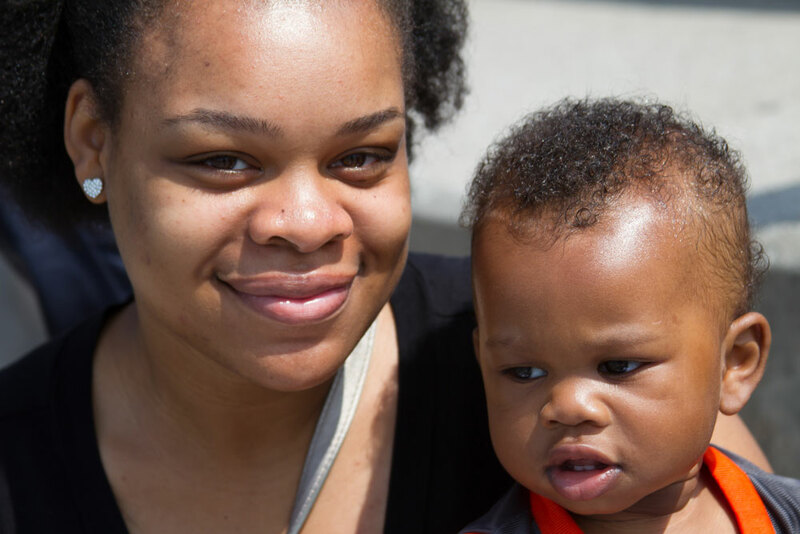 But when it comes to understanding the critical needs of first-time moms and young children living in poverty in the Detroit community, nothing compares to walking the walk. With the goal to improve pregnancy outcomes and positively influence parenting, the State of Michigan has adopted the Nurse-Family Partnership (NFP) program – a nationally acclaimed family-centered community health initiative where bachelor-degree-prepared registered nurses make home visits to vulnerable first-time moms starting early in their pregnancies. The home visits, as well as other educational and social networking activities, continue as support until their babies turn two. Launched in Michigan in 2012, the Nurse-Family Partnership is preventive medicine at its best – an evidence-based model built upon 35 years of rigorous study, clinical research and proof of its positive impact in diverse communities. In Detroit, NFP is implemented by the Detroit Wayne County Health Authority and currently operates with a team of six registered nurses and two administrators serving approximately 100 clients in total. Early intervention is proven to improve maternal health and parenting skills, promote early childhood development, reduce injuries and emergency room visits for accidents and enhance family stability and economic self-sufficiency – for the near term as well as for generations to come. As the waiting list grows . 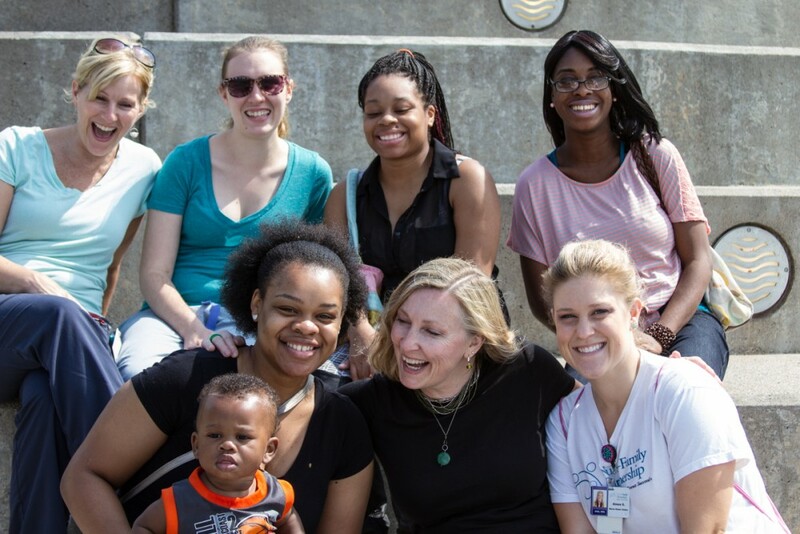 . .
With nearly 2,400 first-time mothers on Medicaid and eligible for the program in Detroit, 229 referrals currently are enrolled and more than approximately 100 await Nurse-Family Partnership practitioners. To help build the capacity of the program and reduce the numbers on the waiting list, The Jewish Fund recently stepped in with an unprecedented grant of $1,166,223 over the next three years – a funding level that exceeds any prior grant targeting the general community in Detroit. “A first for The Jewish Fund, the grant represents our priority in supporting early childhood health intervention as a means to improving the quality of life for vulnerable families and strengthening our community as a whole,” says Richard Krugel, Board Chair of The Jewish Fund. Based on the results of the program launched two years ago with the support of The W.K. Kellogg Foundation, the State of Michigan and other funders, the grant from The Jewish Fund will go to support a second team of five nurses, each with a capacity to take on 25 clients. The work of an NFP nurse is intense, as is the training for the job. It’s more of a calling than a job observes Katie Moriarty, NFP Director. “It’s all the difference between someone just working for a paycheck and someone who really embraces the mind, body and spirit of family – and healing. . . that’s what we’re here to do. I think of our team as life coaches—we’re here to guide, not to prescribe.” Nurses meet one-on-one with their clients every week for the first month in the program, then every two weeks throughout the pregnancy. Once the baby is born, the nurse sees the client and family every week from birth until their sixth week postpartum. Then the visits are twice a month until 21 months, then every month until they graduate from the program at the baby’s second birthday! The early morning rain has abated, and the sun has come out—perfect timing for the 10 o’clock meet-up at the Carousel on the RiverWalk downtown. 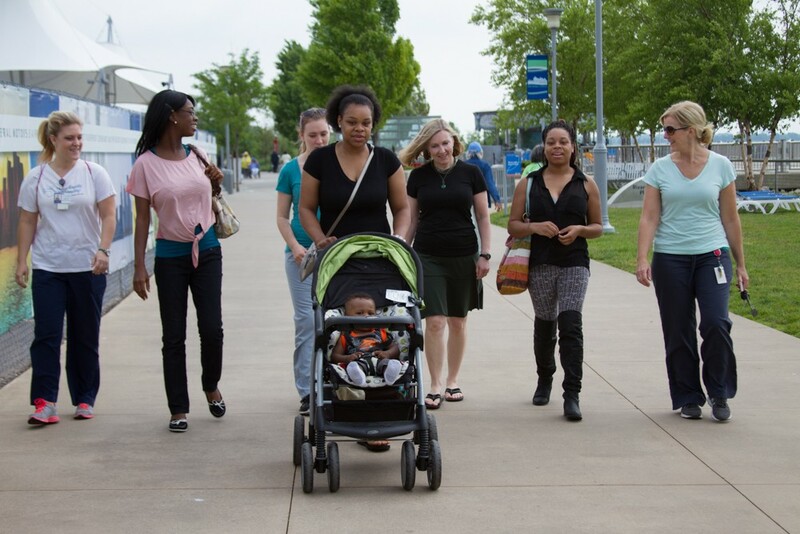 The Riverfront “Walking Group” is one of several “extra-curricular NFP activities” organized by the nurses for new and expectant moms (and dads) in the program. Gathered on this first Wednesday are three young women, easily chatting and laughing together as young moms do. There’s Teresa S. with her eight-month-old son, AJ, a robust little guy ready to stand on his own. There’s Marian Osei-Mensah, a chemistry student from Ghana, 24 weeks pregnant, taking a break from her studies and doing remarkably well (after 2 previous miscarriages). And there’s Chenyier Lightner whose daughter, born at 28 weeks gestation, now growing steadily stronger, will soon be ready to come home from the Neo-Natal Intensive Care Unit (NICU) at Beaumont. Joining the moms on the walk are three of the nurses on the team — Mary Dajnowicz, Lisa Whitener and Aimee Surma – there to add support, answer questions and encourage networking connections. Sometimes all it takes is just one person to step in as a sister, a mother, a mentor – a role model to give clients in the program the confidence they need to move forward. The belief system of the Nurse-Family Partnership is that the client is the expert of her life. Never far from the pulse of new moms in their care, and often in the center of families under duress, Katie and her team of nurses are passionate about what they do, yet painfully aware of the need to do more.